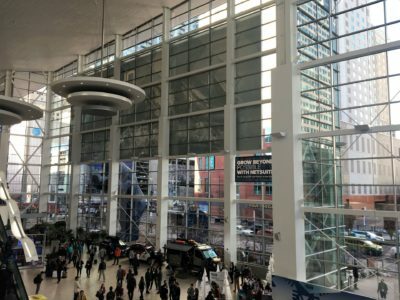 The first day of the 2018 Outdoor Retailer Winter Show kicked off yesterday in Denver Colorado. It was neat to catch up with old friends and see the new gear offerings. Click HERE to read my update on day 1 of the 2018 Outdoor Retailer Winter Show. I have continued to use the Lander Cascade Powerbank over the past several weeks and it has performed well. I used it on a 3 day backpacking trip on the Pinhoti trail and never had to worry about whether my iPhone had enough life left for pictures or to jam out to Zac Brown. Read on for my final thoughts. 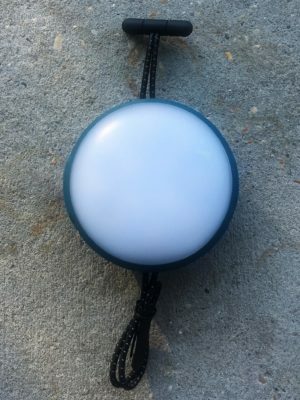 I have been using the Lander Cascade Powerbank over the past several weeks and I have found that it is as good as advertised. It provides two full charges to my iPhone before it needs to be recharged and the rugged case has stood up to the daily abuse of being tossed in my backpack that goes with me everywhere. Continue reading for my full review. Electronics have become an integrated part of our life even while playing in the outdoors, but electronics require power, and multi-day trips drain power from our devices, which can often mean missing a photo opportunity or hearing my favorite song on the last day of a trip. 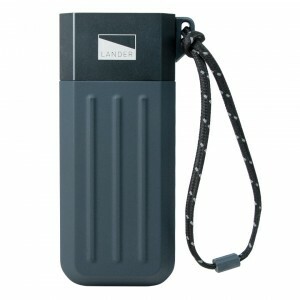 Lander has a solution – their new Cascade Powerbanks. I will be testing the Cascade Powerbank (5200 mAh) over the next several months to see if it can keep my electronics powered on the trail. Read more here.